Fun and Versatile Go-Ped Kart. The Go-Quad Model is a Go-Ped inspired design that fuels the spirit of four-wheel enthusiasts. Created in 1989 to fit in a standard size car trunk, the Go-Quad can hold adults and change without making any adjustments. 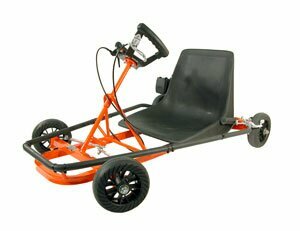 The hand powered controls and ingenious drive system make this four-wheel Go-Ped a very fun, light and easy to operate kart for riders of all ages and sizes. 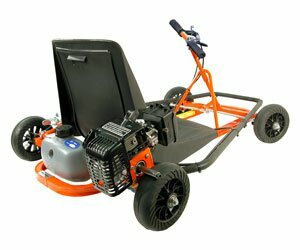 Please call us toll free at 1-888-RACE ATV for more information or to order your cart today.